A woman who can call both Canada and Detroit home is a woman who must be well rounded. Lori A. May, poet, performer, speaker, instructor, is a jack-of-all-trades—at least when it comes to the writing, marketing, publishing, speaking side of things. So pretty much anything that has to do with communication Lori has on lockdown. Lori A. May writes across the genres, edits, teaches and travels as a frequent guest speaker. If you want to know how to save a buck she can spout out a list of fifty tips in less than two minutes. 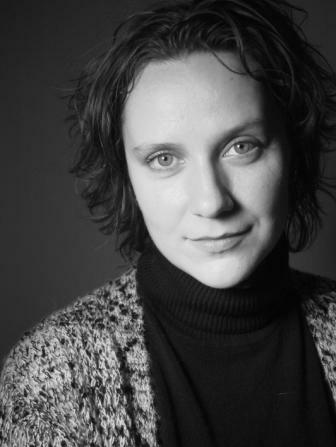 You can find her work in print and online with publications like Brevity, The Writer, Phoebe, Writer’s Digest and The Atlantic. 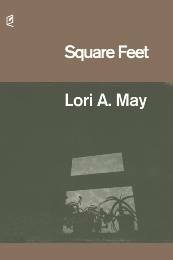 Lori has a new collection, Square Feet, out in January 2014 by Accents Publishing. In the following interview, Lori shares what her writing process entails, details about her collection and gives advice to struggling writers. When did you first realize you wanted to be a writer? And how long did it take you embrace it? Of course I wrote when I was a kid and that’s really when the desire to be a writer grew within, but I’d say I started taking writing—as a vocation—more seriously when I was in my early to mid 20s. There was definitely a time when I wrote only for myself that transitioned into wanting to share my work with others and seek publication. That grew very quickly into thinking how nice it would be to do this in a full-time capacity. Once I had proven to myself that I could finish a book-length manuscript, it became very clear to me that I had to find a way to make this writing gig a permanent and prioritized part of my life. It’s messy. 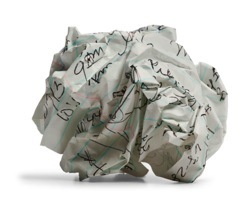 From idea discovery to complete draft, there’s complete disorganization in between. Or, so it may seem from the outside. I tinker a lot and let things simmer; I go back and forth between projects and seem to be all over the place. Then, one day, I’ll have this moment where I realize how close to first-draft-finished a project is and I’ll wonder how it all came together. That sounds magical and it’s not at all. For me it’s more of a trust in the organic mess, that what starts off in clunky drafts gradually grows into something better. I guess that’s why it’s called a process and not something more definitive. You are a writer of many genres. Do you see a merging of genres in your work? At times, yes. When I’m writing poetry, I let the draft take shape but then I step back to see what the story is arising from the verse, then use that to revise and tweak. When I’m working on prose, I’ll poke around at the draft material to revision how I might improve word choice and sound quality—like I would with poetry. I think all writing feeds itself. What motivates you to sit down and write even when you don’t feel inspired? I remind myself how fortunate I am to write. To have that leisure to write any time, all day, or not at all. Writing is my choice, my pleasure. Sure, there are times that I don’t feel like writing or, more accurately, like sitting at my desk. Writing is work. It is never perfect, not in the beginning, nor in its final draft. It takes effort and patience and, as Maya Angelou said, “We delight in the beauty of the butterfly, but rarely admit the changes it has gone through to achieve that beauty.” Inspiration is overrated. Persistence gets the work done. Your new collection is called Square Feet. Where did you get the idea for that title? The title came to me fairly early on in the process. I had been working on a few poems about life behind closed doors—where we laugh and share secrets, where we grieve openly without shame. I found myself working on the human component, yes, but also looking at those domestic objects that surround us and either comfort or irritate us: utensils, furniture, photo albums. The title was a gift, dropped in my lap from the working subconscious, and once I had it on my tongue I knew I had a direction with the full manuscript. It rarely works that way for me, by the way. You have a good number of poems that deal with co-existence: spouses living together, partners trying to make it work, family members visiting, etc. It is interesting to see how all of those relationships are different, and yet have the same struggles in common, accommodation and compromise being two major themes. How did you come to those conclusions? I don’t know that I did so with intention, but at the end of the day aren’t we all the same? Aren’t we all after the same things—love, acceptance, a sense of security within ourselves and in our lives? These things are possible, sure, but they often require compromise. I think Square Feet shows how our lives touch one another—for better, for worse—and respond to one another, particularly in small or private spaces. Any advice for writers who are struggling to finish a piece of work for whatever reason—boredom, pain, exhaustion, time, etc? I’m easily distracted so it’s not uncommon for me to work on a project ten or fifteen minutes and then lose focus. When that happens, I give myself a choice: continue to work on Project A or shift focus to Project B and so on. It’s good to have multiple projects on the go. There’s always something to work on. Writing needs time to breathe and simmer on its own, so if something is giving me a hard time I’ll adjust focus and move on to something else. But I try not to abandon projects, unless I know I’ve hit a wall and don’t want to break through it. I think, for all writers and especially emerging writers, it’s important to remember to have fun and not put too much pressure on one’s self. The writing will come, in time, and it’s okay to take a break from something. Find something else that moves you for the time being. What’s next on the agenda for you? I’m excited about 2014! I’ll be traveling often and working on a number of projects. I’m also thrilled to say I have another book coming out at the end of the year. In December 2014, I’ll have a new nonfiction book out with Bloomsbury. More details will be shared on my website, www.loriamay.com, very soon! Where can interested readers get a copy of Square Feet? I’d love to see readers pick up the book direct from Accents Publishing, but an indie bookseller can make sure the book is ordered and/or delivered. Of course, readers can also find Square Feet on Amazon or at their local Barnes & Noble. The B&N in Wilkes-Barre PA has some copies in stock, too. During AWP in Seattle, I’ll be signing copies of Square Feet at the Accents Publishing table in the bookfair (AA3) on Thursday Feb 27, from 12-1pm and books will be available there all weekend. Signed copies can also be purchased directly from my website: http://www.loriamay.com. This entry was posted on December 31, 2013 at 6:12 am and is filed under Interviews, Poetry, student success, writing advice. You can follow any responses to this entry through the RSS 2.0 feed. You can leave a response, or trackback from your own site.